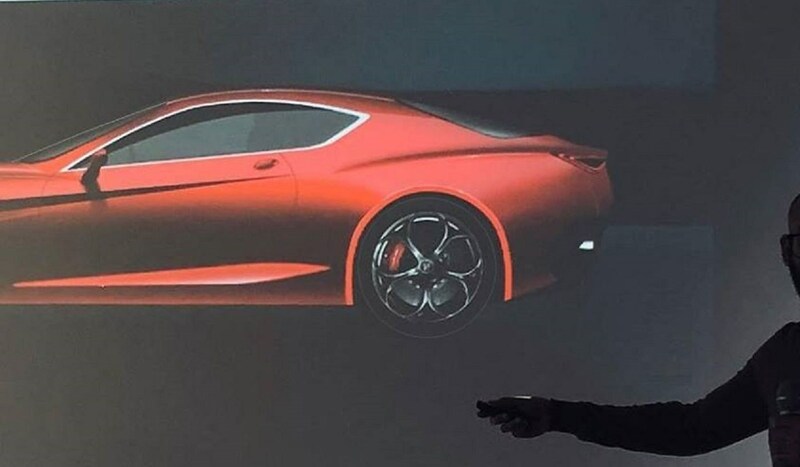 The next Alfa Romeo GTV has been leaked on social media, with an image revealing the new two-door snapped from an internal Powerpoint presentation. 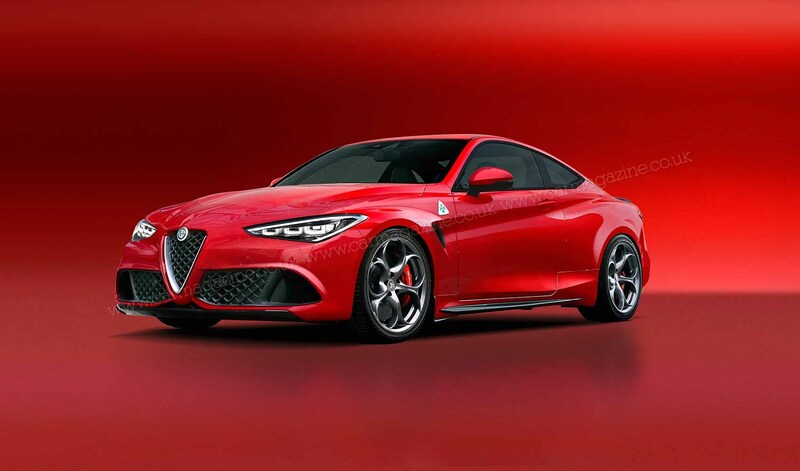 The new Alfa Romeo GTV will be based on the 'Giorgio' platform already used to good effect on the Giulia saloon and Stelvio crossover, dressed here in a desirable two-door bodyshell. This one side-profile photo was leaked at the weekend on Twitter; below you can see CAR magazine's artist impressions by Andrei Avarvarii. It's a welcome return to the two-door coupe segment from one of Italy's most stylish mainstream car makers. Be sure to let us know if you rate the direction by commenting below. When can I buy the new Alfa Romeo GTV? Expect to see the new coupe - essentially a two-door Giulia sports car - in showrooms by 2021, according to our sources. It will launch first as a coupe, with a spider convertible due some 18 months later in 2022/23, according to our sources. The new Alfa GTV will fit under the bespoke, carbonfibre-bodied Alfa Romeo 8C, also confirmed for production. Where the 8C is a limited-edition, super sports car, the GTV will roll off the regular production line. As our renderings suggest, it will be a front-engined four-seater, with just enough space in the rear to make sure it's not labelled a 2+2. 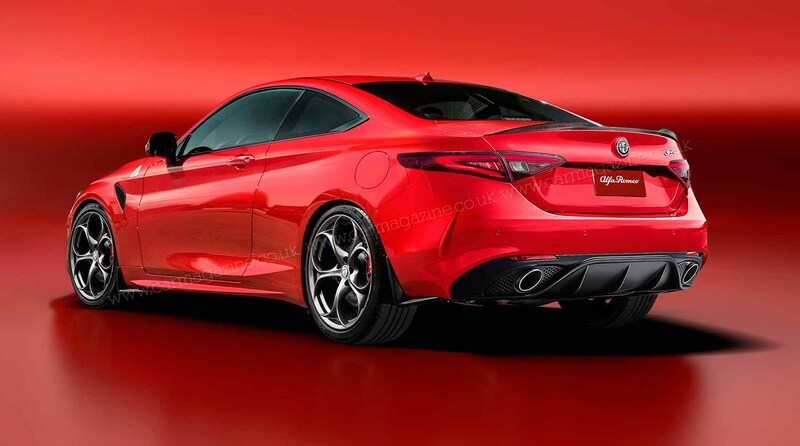 Think Italian rival to the BMW 4-series, Audi A5 and Mercedes C-class Coupe. It will surprise precisely nobody to learn that the new Alfa Romeo GTV will use powertrains already seen elsewhere in the FCA range. The 2.9-litre V6 already used to devastating effect in the Giulia Quadrifoglio will make another appearance, although here it is hybridised in the range-topping halo model. CAR magazine's sources suggest the V6's output will be some 460bhp in the GTV, matched to an electric motor sandwiched between the V6 and transmission to deliver a total system output of 530bhp - and brief bursts up to 600bhp+. Conversely, an electric range of just 30 miles will be available when running in silent EV mode. 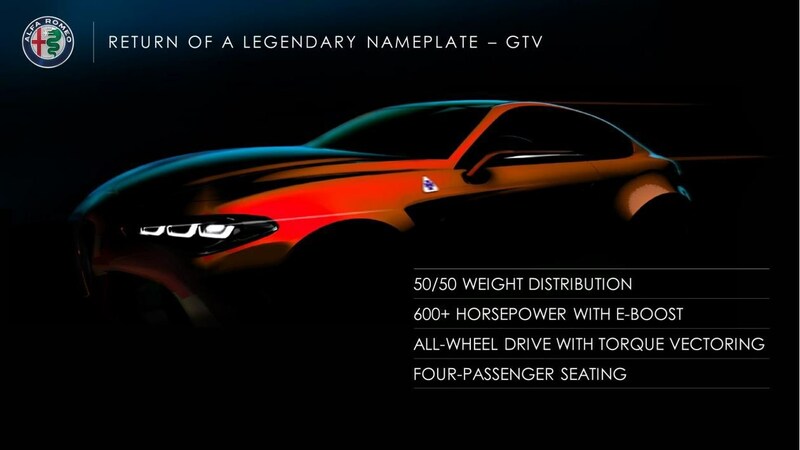 This reflects the official confirmation in summer 2018 by then-CEO Sergio Marchionne in a major product announcement, in which he revealed the GTV would return as a range-topper with a choice of rear- or all-wheel drive. Sadly a few short weeks after this summit, Marchionne passed away. Note also the confirmation that the new sports car will come with 50:50 weight distribution. The new 2021 Alfa GTV should be a much better steer than the pretty but ponderous last GTV, which was front-wheel drive and lacked precision, according to our road testers. Lower-powered, cheaper GTV models will be available too; last time round there was a choice of V6 or Twin Spark four-cylinder engines. Expect lower-rung GTVs to come with rear-wheel drive, rather than AWD. Do you like the look of the new Alfa Romeo GTV? Be sure to sound off in our comments below!